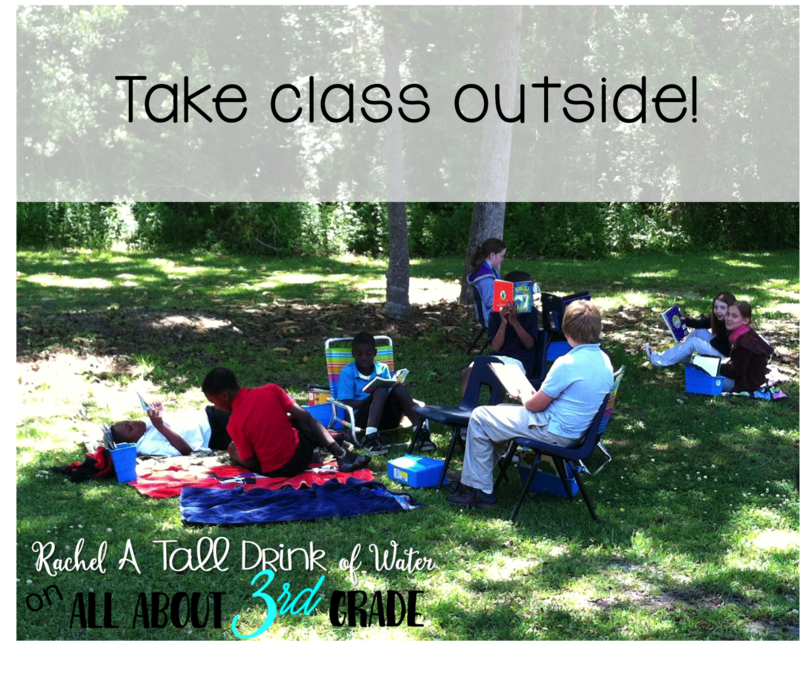 Welcome to All About 3rd Grade! 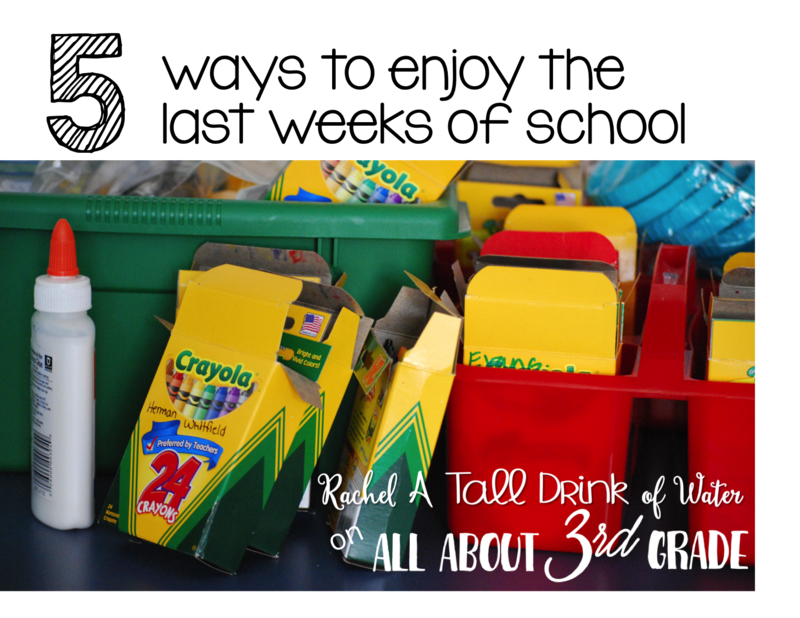 I'm Rachel, A Tall Drink of Water and I am THRILLED to be joining this fabulous group of teachers! 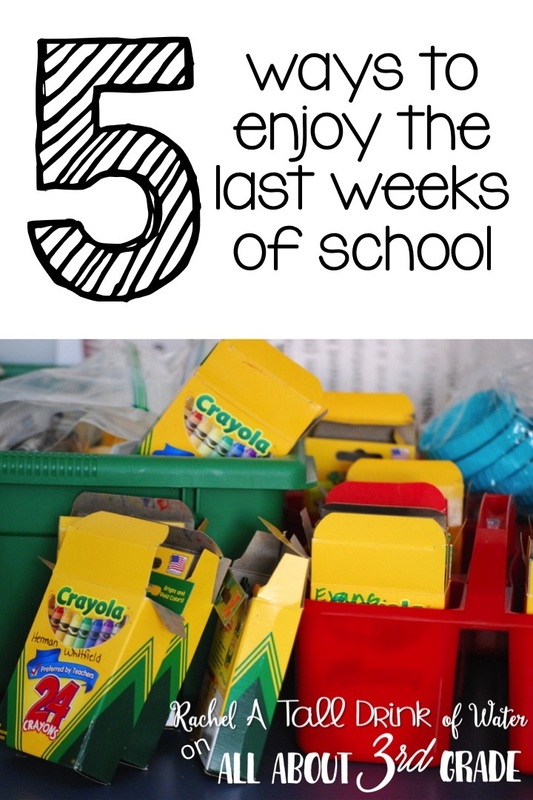 Can you believe the end of the school year is just around the corner?! This can be such a busy, hectic time of the year, between end of the year assessments, paperwork, special events, and on top of all that...the kids are starting to bounce of the walls with excitement!! If you can't beat them...join them! Taking our lessons outside is my favorite thing to do when the weather gets warmer. 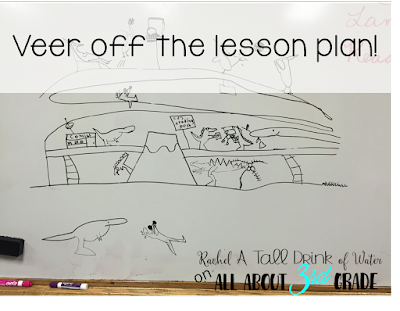 -measure how far students can run/jump/skip/etc. is the fact that you have more freedom and creativity in your lessons! What can you teach that's different? 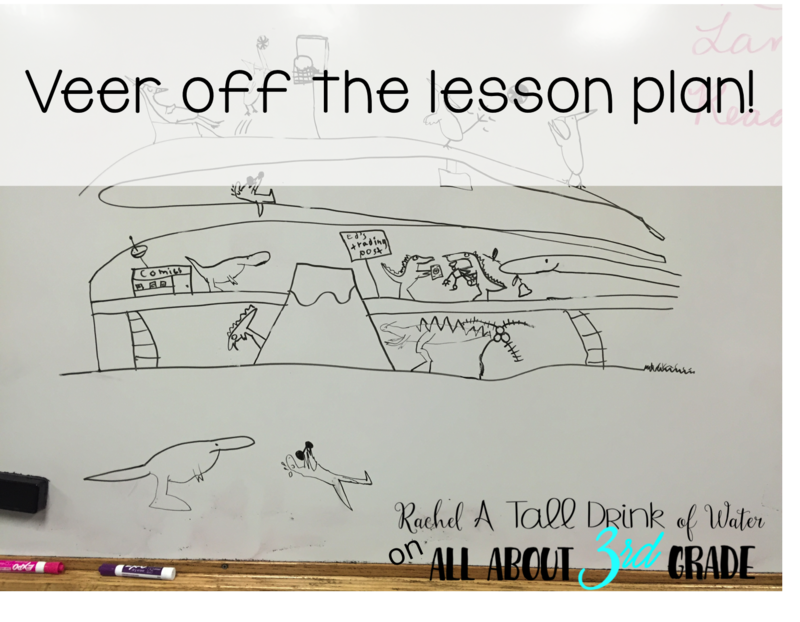 (the above picture was a drawing lesson called "Cave Camp"
This goes hand in hand with veering off the lesson plans. 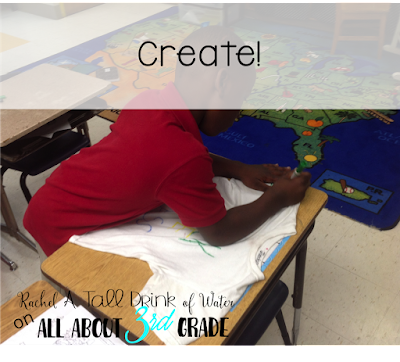 Allow students time to be creative and make things with their hands. www.artforkidshub.com is a fantastic website that has kid friendly videos of how to draw! 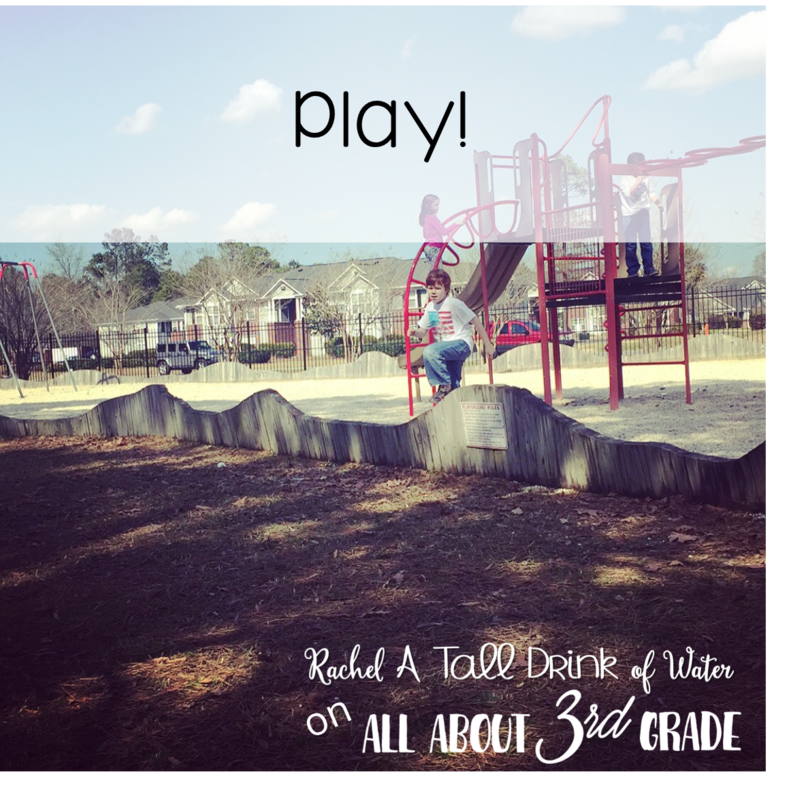 Kids have so much energy to begin with, let alone at the end of the year. 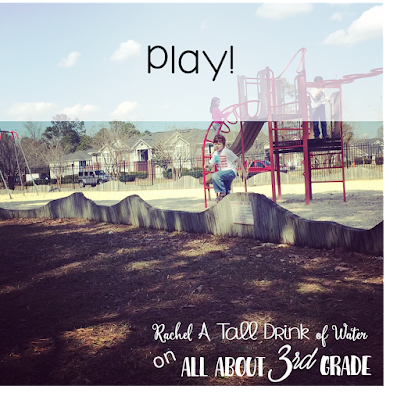 So go ahead and have extra recess. And if you can't, have some organized play time. It is important to keep your day as normal as possible, to help with behavior. But adding some fun thing in to the mix can allow you and your students to really enjoy the last few weeks of school. 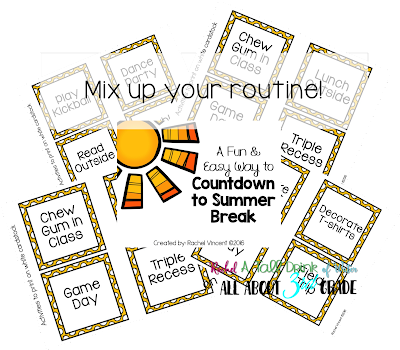 I've created this countdown to summer break with many of these ideas and more! You can grab that here for FREE if you'd like! Remember, that you only have a few more weeks left with this group of kids! I love that you included a STEM project in the summer countdown! Fantastic idea. Thanks for the printable countdown. My pleasure! I'm glad you liked the ideas!